Herpes whitlow is a type of herpes infection that manifests as blisters or sores primarily on the fingers, with occasional reports of the lesions occurring on the toes. Any form of herpes is sure to cause anyone trepidation as well as a constellation of feelings which could include anxiety, nervousness, confusion, and even some level of embarrassment. Although herpes on the fingers is a rare manifestation of the herpes virus, there is no reason for you to worry needlessly because it is an exceedingly easy infection to manage. Below are some important facts about the infection and what you can do about it. 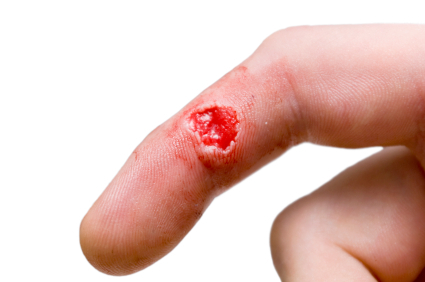 The same virus that causes oral and genital herpes can also cause herpes on the fingers. Primarily either HSV 1 or HSV 2 causes herpes whitlow; these two viruses can come into contact with your hands via chewing or sucking of the fingers or thumb, especially in children with cold sores. In adults, the HSV 2 is more likely to cause the infection. By touching an active sore during outbreaks and forgetting to wash hands after. Herpes whitlow is quite rare. In comparison with the other herpes infections, the condition is somewhat rare. Statistics show that in the United States, it occurs in only 2-5 people in about 100,000 of the population. The infection is more common in children and toddlers. Herpes on the fingers may have tendencies to recur. Herpes whitlow may have tendencies to recur, and like the other herpes infections, the severity and longevity of the infection can be controlled. The infection targets particular parts of the body. The most common locations of the infection are the thumbs and the index finger. When the herpes infection manifests, the fingers involved will develop tingling, burning, and some pain as well as swelling and redness, which will then be sites of blisters. The infection usually comes with other symptoms. Other symptoms associated with a primary infection include fever, lymphangitis (red streaks that will radiate from the infected finger), and swollen lymph nodes. The infection is contagious. Like the other herpes infections, herpes whitlow is a contagious infection. You can even infect another person even when lesions are not present as the virus is able to produce viral shedding while remaining dormant inside the body. Some practices increase the likelihood of an outbreak. Because it is essentially a herpes infection, certain triggers such as stress and an unhealthy lifestyle are able to increase chances of an infection. Avoid contact with a person who has an active case of cold sores. One of the primary ways in which you can acquire the infection is through direct contact with an active sore. Preventing contact with them will particularly decrease the likelihood of contracting the virus. Wash items you use thoroughly. You can minimize the indirect chances of spreading the virus by thoroughly washing and disinfecting items, especially those that come in contact with the sores or blisters. Avoid trigger exposure. Some activities are able to reactivate the infection. Triggers include fever, prolonged sun exposure, and stress. Keep your immunity in good shape. Immunodeficient people are more likely to acquire the infection than healthy ones. This is because body defenses are low. As such, taking care that your immune system is always in good condition is vital to prevent getting infected. In this way, you can battle the virus before it manifests itself. Treatments. Treatments currently available are only able to relieve the symptoms and shorten the longevity of the infection. Oral and topical acyclovir medication has shown to reduce viral shedding and prevent the infection from coming back. The infection usually clears up after a month. Over-the-counter painkillers such as mefenamic acid and paracetamol can also help alleviate the pain. Always seek advice from your physician first before taking any medication. 1. Go See a Doctor. A doctor can give you a proper diagnosis. Your family doctor can give you a test to help you diagnose the exact type of Herpes present. Herpes whitlow is an infection that will be able to recur because the virus that causes it lies dormant inside the human body. You won’t be able to get rid of the herpes virus after you contracted it. However, as with any other disease, proper management of the infection will be beneficial in decreasing the number of outbreaks and intensity of the infection. Advancements in modern medicine has also paved the way for faster, more effective treatments against the virus. So it is not such a big deal. You can still go on and live your life.